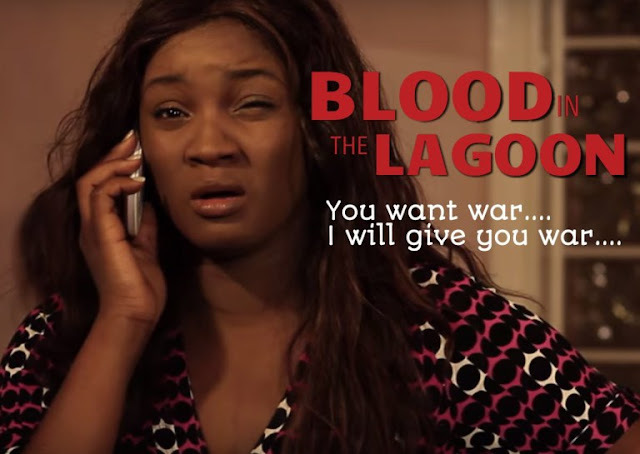 A new Nollywood movie titled "Blood In the Lagoon" has been released in Nigerian cinemas. The movie, which is powered by Tropical Gem Studios, stars Omotola Jalade Ekeinde alongside actors Okey Uzoeshi (Two brides and a baby, Life of a Nigerian couple), Bobby Michaels, Akin Lewis, Ufuoma McDermott, Hakeem Rahman, Cassandra Odita, Phil Simmons, and Jim Roach. The movie unveils the story of two brothers living in the slums of the waste deluged Lagos Lagoon. Plagued by abject poverty, they struggle daily to survive against all odds as life taunts them with new challenges. An unprecedented event leads to the murder of one of the brothers and ends his dream. However, George, takes up his brother’s dream and forges on ahead into making it a reality. What does fate have in store for him along the way when he meets the beautiful Scarlet (Omotola Jalade-Ekeinde)? A series of unfolding shocking events he never bargained for pop up.